Billy, who is owned by Liberal Democrat Annette Brooke, helped the party to its first victory of the year by taking the crown in the Purr Minister contest to find Westminster's leading cat. The Mid Dorset and North Poole MP found her black-and-white, short-haired moggy in a rescue centre in Dorset last year. Billy takes over th e reins of power from last year's winner Kevin, which belongs to Bill Esterson, the Labour MP for Sefton Central. 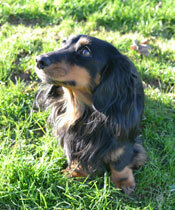 Billy won almost a quarter of the votes polled (23%) to win the Battersea Dogs & Cats Home competition. Ms Brooke said she was "really thrilled" by Billy's victory and added that he could expect loads of extra treats. Lindsey Quinlan, Battersea's head of cattery, said the Purr Minister contest proved just how much the British public loved their cats.